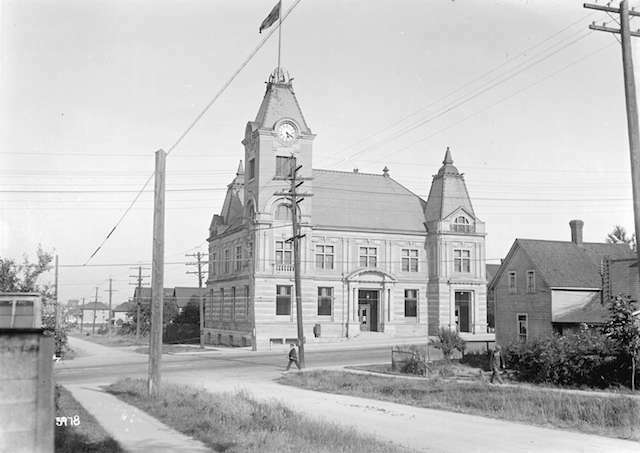 Heritage Week celebrates cultural heritage and historic places across BC and Canada. In 2019, the theme is “Heritage: The Tie That Binds”. The Vancouver Heritage Foundation (“VHF”) will be offering events that celebrate the power heritage has to bring people together and create a sense of belonging. VHF is offering several opportunities during the week to explore historic places, and to learn about and celebrate cultural heritage. Tour the Oakridge neighbourhood with Michael Schwartz of the Jewish Museum & Archives of BC to learn about the vibrant Jewish community’s roots and legacy in this transforming area. The cultural heritage of Chinatown is a core aspect of what makes this neighbourhood unique – as a historic place but also a living community. Join VHF for a visit to Chinatown House, a new hub in a converted building that is providing space for co-working and cultural programming. Hear about the project from Leslie Shieh, co-founder of Tomo Spaces and learn about the intangible cultural heritage of the area from Helen Lee, a planner with the City of Vancouver’s Chinatown Transformation Team. In exploring the important role of intangible heritage to Chinatown’s revitalization and conservation, Helen will be joined by Cantonese instructor and certified tea master, Christine Wong, who will serve tea and discuss its relevance in Chinese traditions and everyday practices. There will also be a special reading from the recently published Journeys of Hope: Challenging Discrimination and Building on Vancouver Chinatown’s Legacies. Develop your photography skills while discovering the history of the Orpheum, which recently celebrated its 90th anniversary. This 3-hour photography workshop and tour explores the history and architecture of this celebrated theatre. Explore the eclectic mix of Moroccan, Indian, British and Spanish architectural influences with Historian John Atkin. During the tour Architectural Photographer Martin Knowles will offer tips and tricks of the trade to get the best photographs of the lobby spaces. Gain useful information for how to balance light, form and scale to make the most of the beautiful subject matter. Open to all skill levels. Please bring your own photographic equipment. Tripods are recommended. Heritage Week offers a chance for all Canadians to visit museums, historic sites and cultural centres and connect with others in learning about and celebrating cultural heritage. Follow the Vancouver Heritage Foundation on Twitter and Facebook for more event updates.